There are plenty of spaces available in Harbour Pool's Preschool Plunge and Play programs! This 2 1/2 hour program offers a craft, one hour of pool time and a snack, all under instructor supervision. No Lane Swim during this time. A special thank you to MEGlobal for sponsoring this swim. Putting snow onto the street causes hazards. Bylaw C4-10 prohibits homeowners from placing snow from driveways and sidewalks onto city streets. This excess snow is a hazard to motorists. Please be considerate and keep our streets safe for everyone.Observe the signs posted or follow the directions of the crew. 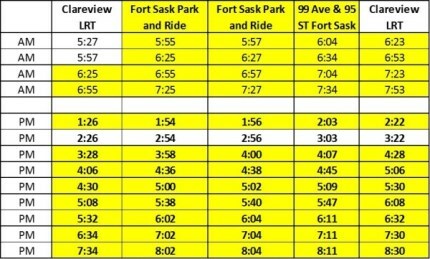 The City of Fort Saskatchewan will be adjusting five bus stops on the local 583 Red Route: Stops 317, 318, 319, 320 and 321. 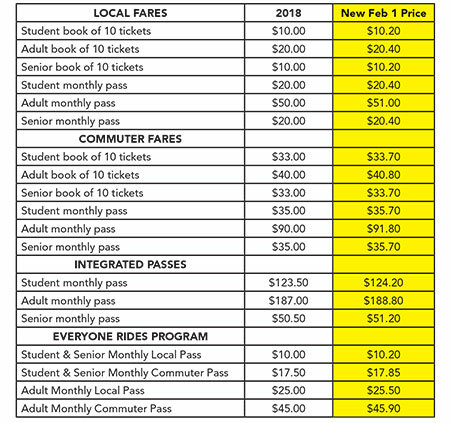 These stops will be moved from their current location to 101 Street and the new Green Route beginning March 1st, 2019. This change is to improve our on-time performance as ridership continues to grow.